After three unsuccessful attempts to steal Samson's strength and betray him to the Philistines, Delilah resorted to the last card she had to play... She played the "Do you love me?" card. These are powerful words. I still love to hear them from my wife of 17 years. I still try to say them to her several times each day. I also make sure I repeat these words to my children every day. For as long as possible, I want them to find their love at home, not from some boyfriend or girlfriend at whom they are making googly eyes. GIRLS: if some teenage boy tells you that he loves you, laugh at him and walk away. Not only is he completely incapable of understanding what those words mean, he is only telling you that so he can have what he wants from you... And it isn't a long-term relationship. 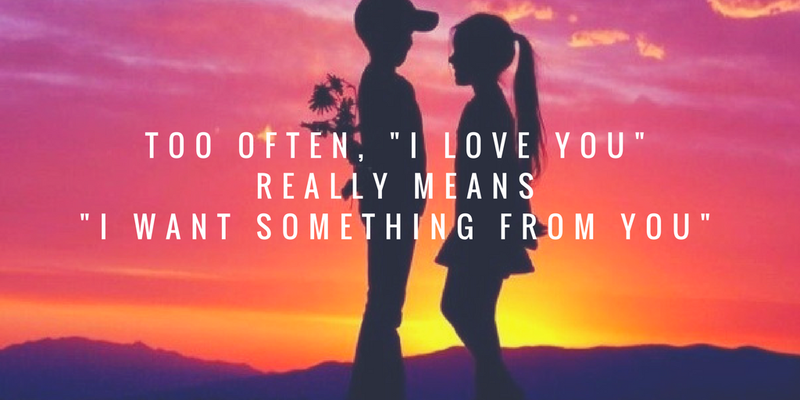 BOYS: if some teenage girl expects you to say you love her, refuse and walk away. She is seeking to use you to fill a void in your life. if you allow her to control you know, she will nag you forever (not my words, they are directly from the story of Samson). Truth is: Until you have a ring to accompany the words, "I love you", they don't really need to be said. 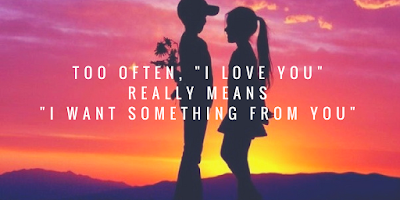 More often what they really mean is, "I want something from you", and that is likely a sign that this relationship is going nowhere. I'm only telling you this because I love you.